Our company is a trusted leader in the field of stove repair Morristown service! We work with some of the best experts in the area. All of them are trained to work on various makes and models, including the new age ones. So if you want to make sure your unit is in good hands, give us a call without hesitation. We know how troublesome it can be when your cooking equipment lets you down. Thus, we can provide you with a qualified stove repair tech the same day you call us. By choosing us, you will be able to go on with planning family dinners in the shortest possible term! Want to replace a broken unit? Call us for Morristown stove repair first! If your current stove is truly beyond repair, it’s time to find the right replacement option. 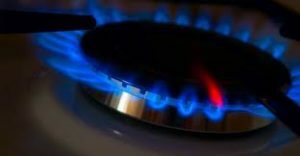 Once you pick the appliance you want, we recommend turning to us for a professional stove installation service.With numerous accomplished setup projects, the local experts can fit any model without a single hitch. In addition, one of the techs can arrive for annual maintenance check-ups to make certain your unit is working as it should. When it comes to stove repair in Morristown, you won’t find a better choice than our company. So next time your appliance breaks, don’t panic and let us take care of the problem for you. You won’t regret it!